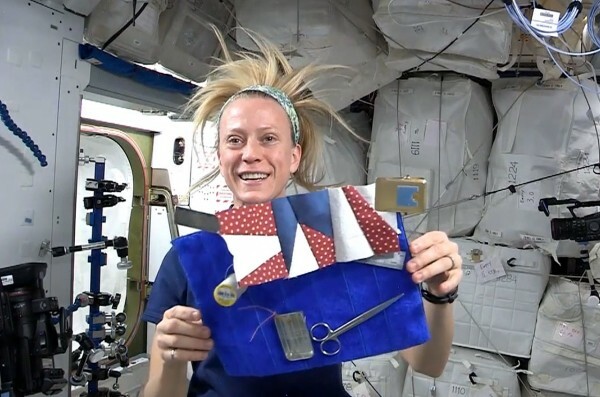 A Quilting Challenge from Space | Eastwood Patchwork Quilters Inc.
You may remember the previous post on Karen Nyberg, the NASA astronaut who took her patchwork into space with her. 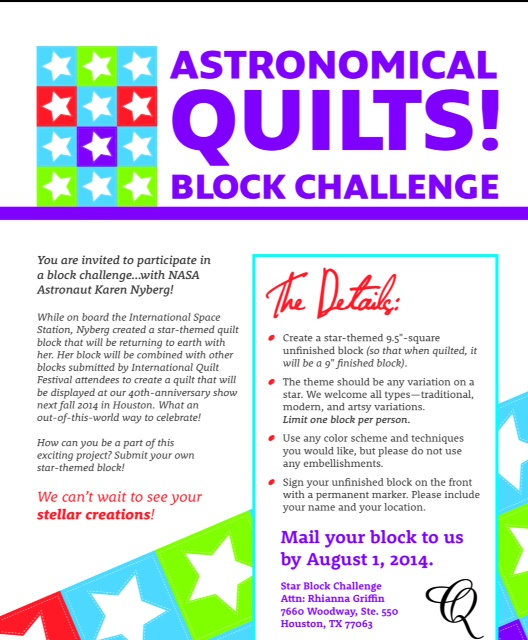 Karen has now issued a challenge to quilters worldwide to create a star block to celebrate the 40 year anniversary of the Houston International Quilt Festival. To read more about Karen’s challenges trying to stitch in space, follow this link. There is a great YouTube clip of Karen talking about her difficulties completing her 9×9 block. This entry was posted in patchwork, quilting and tagged patchwork, quilting in space by eastwoodpatchworkquilters. Bookmark the permalink. I think I will make a block to send to America. It will have to bigger than Kelly’s stars though!